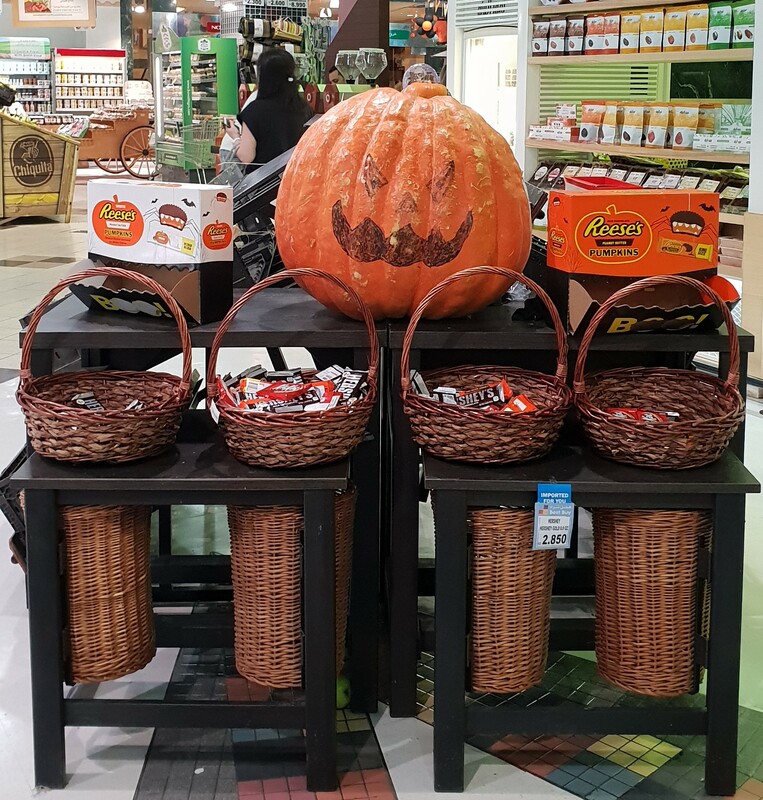 So they had this little display set up at Sultan Center (Salmiya). People kept walking into my shot, realizing I was trying to take a pic and stopping halfway through with the deer-in-headlights look on their face. It wasn’t the prettiest display in the world, but it was enough to set off my cousin’s wife who had gone from being a happy-go-lucky Lebanese cutie pie who used to dye her hair regularly and wear jeans and fitted tops, and smoke sheesha in public, to now covering her hair (wearing a hijab) and wearing super loose clothing and being uptight and judgmental about literally everything (after she’d gotten married). So I’ve been on the hunt for Coco Mojo Pure Coconut Water ever since I randomly chose a can of the stuff at Sultan Center (Salmiya) and promptly fell in love (here)! Unfortunately, I could never find the stuff at the Souq Sharq branch of Sultan Center, which frankly, is more accessible to me (since I don’t enjoy the traffic jams on my to Salmiya). I figured the only way I could ever find the stuff was to go back to where I originally bought it, the Salmiya branch. Sadly, I didn’t find the steel can version. I did however, find a much larger version (1 Liter/33.8 fl oz). I spotted these 2 nestled in the refrigerated dairy section (amidst flavored yogurt and such), so I cradled them in my arms and made my way to the cash register. 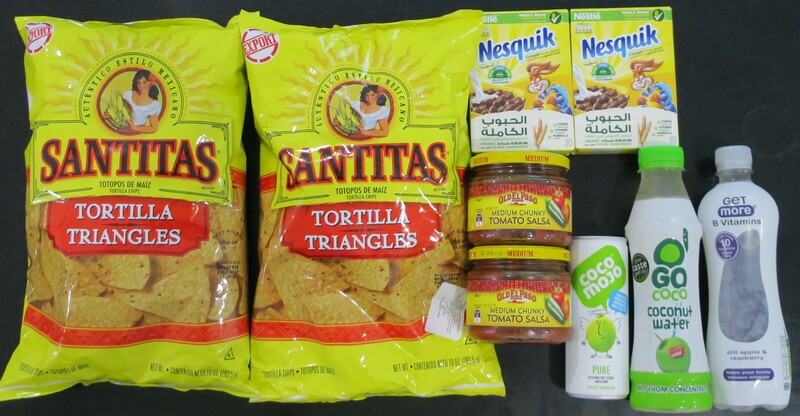 I popped by Sultan Center (Salmiya) to replenish my stock of Tortilla Chips and Salsa (both of which were repurchases). 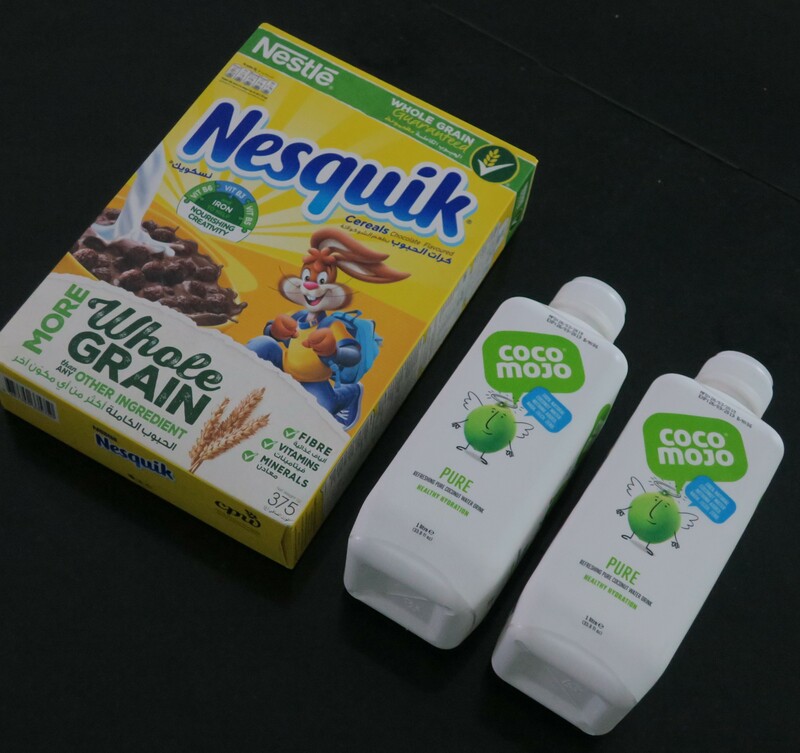 I also grabbed x2 Nesquik Chocolate Flavoured Cereal because I was still craving it since my last haul (here) where I mistakenly grabbed the wrong thing. Lastly, I picked up a few drinks, because I was getting sick of drinking Karak Tea (that came in those purple boxes).